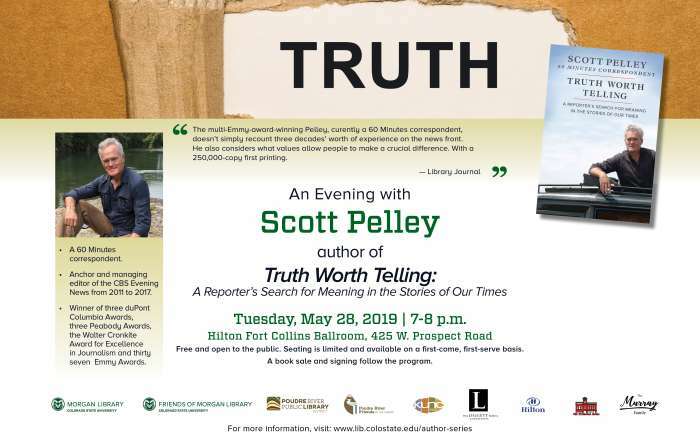 The multi-Emmy-award-winning Pelley, currently a 60 Minutes correspondent, doesn’t simply recount three decades’ worth of experience on the news front. He also considers what values allow people to make a crucial difference. 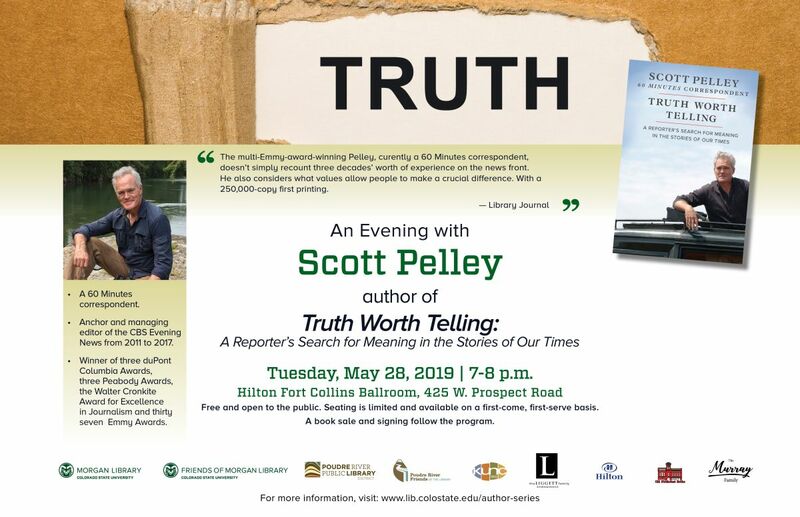 Pelley will be speaking about his book TRUTH WORTH TELLING: A Reporter's Search for Meaning in the Stories of Our Times. Free and open to the public. Books sales and signing following the program.